Heat the vegetable oil in a large pot over high heat. Sauté the tomatoes, onions and chopped garlic for one minute before adding the chicken breast. Season the chicken with salt and black pepper to taste. Cover the pot and let cook, stir from time to time, until the chicken is completely cooked, 8 to 10 minutes. Set the heat to low and add the chipotle pepper in adobo and the tomato sauce. Season with ground cumin. Let cook for another 10 minutes. To serve the tacos, add 2 to 3 tablespoons of the chicken to warm flour tortillas and add your favorite toppings. Enjoy! If you don’t like super spicy foods, add only 1 or 2 tablespoons of the chipotle adobo. 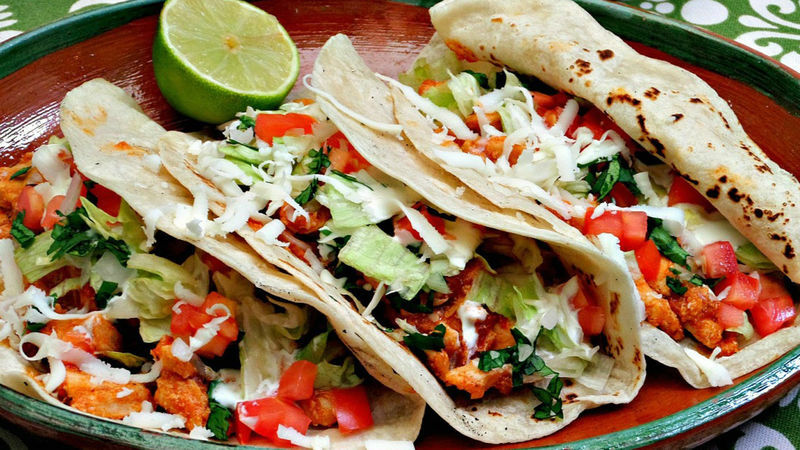 These tacos are so delicious that no one will believe they’re homemade. Made with chicken breast in a spicy tomato and chipotle sauce, you won’t believe how easily and quickly they can be prepared. You can have a delicious dinner ready for your family in just 20 minutes.